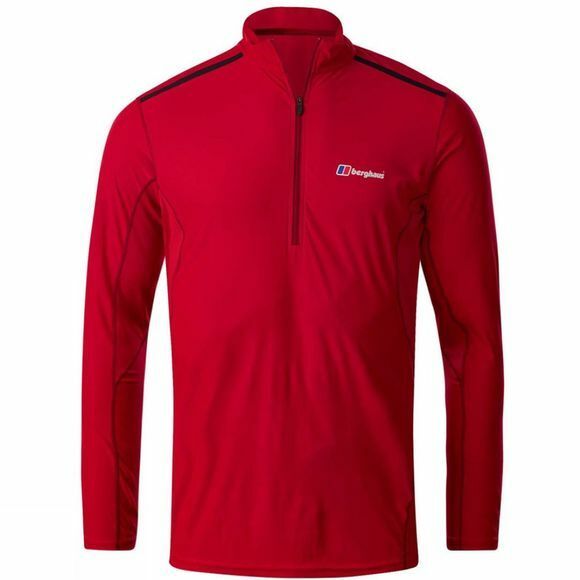 The Mens Super Tech Tee Long Sleeve Zip from Berghaus allows you to keep the perfect balance when you’re working at your limit, as it works in harmony with your body to help keep your climate under control. argentium protechnology reacts to the physiology of your body, becoming extra cooling and breathable when you heat up, and working to be more protective when you start to cool down. With fantastic wicking properties combined with lasting odour resistance, there’s also super cooling mesh in the under-arm panels, giving you cooling ventilation where you need it most. 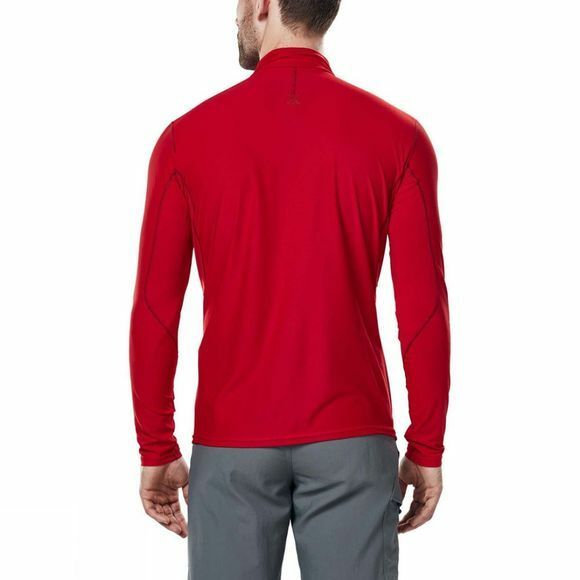 While unzipping the centre front half zip boosts airflow even further. Unrestricted movement is here to stay as the stretch fabric ensures fluid movement when reaching for high places. And if you’re carrying a rucksack you’ll get a comfier ride thanks to bonded shoulder seams. Perfect whether you’re on a spur of the moment climb or planning a demanding expedition.